The Washington State Housing Finance Commission has announced that the available funds for mortgage credit certificates (MCC) will be reduced in 2o16. They estimate that the remaining funds will be reserved by the end of March (possibly sooner) and that after the available funds are all reserved, home buyers can go on a wait list. The fee for the MCC is increasing in 2016 as well. I will be teaching a home buyer class in Seattle with Jim Repppond of Coldwell Banker Danforth on Saturday, November 15, 2014 at the Coldwell Banker Danforth’s Seattle office, which is located just south of the Northgate Mall. The class is sponsored by the Washington State Housing Finance Commission. Students who attend are eligible for programs like Home Advantage or House Key Opportunity (the Washington state bond program) or Freddie Mac Home Possible. Students are also eligible for various down payment assistance programs and MCC (mortgage credit certificates). I will be teaching a home buyer class in Kent with Ira Sacharoff of Better Properties Real Estate on Saturday, October 11, 2014 at Mortgage Master Service Corporation’s home office which is located just south of South Center on West Valley Highway. NOTE: This class has been rescheduled for another date and location. I will be teaching a home buyer class in Seattle with Jim Repppond of Coldwell Banker Danforth on Saturday, November 8, 2014 at the Greenwood Library in Seattle. 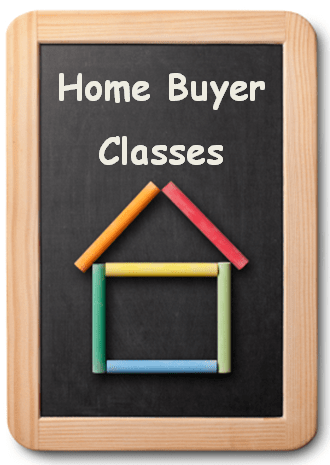 The next home buyer education class that I’m teaching is coming up on Saturday, May 10th, 2014 at the Burien Library. Ira Sacharoff, Real Estate Broker with Better Properties Real Estate is my fellow instructor. The class is sponsored by the Washington State Housing Finance Commission. Students who attend are eligible for programs like Home Advantage, House Key (state bond) or Home Possible as well as various down payment assistance programs and MCC (mortgage credit certificates) tax credits.If you are considering buying a home with your spouse, partner or friend, they need to attend the class too in order to qualify for programs. You do not need to be a first time home buyer to qualify for many of these programs. And you’re welcome to attend if you’re just interested in learning more about the process. What is a Mortgage Credit Certificate or MCC? Mortgage Credit Certificate (or also referred to as MCC) is a federal tax credit available to first time home buyers who meet certain requirements. With the tax credit, eligible home buyers can adjust their their withholding to take advantage of the savings monthly instead of waiting until they file their taxes. The MCC remains available as long as the borrower owns and occupies the property.